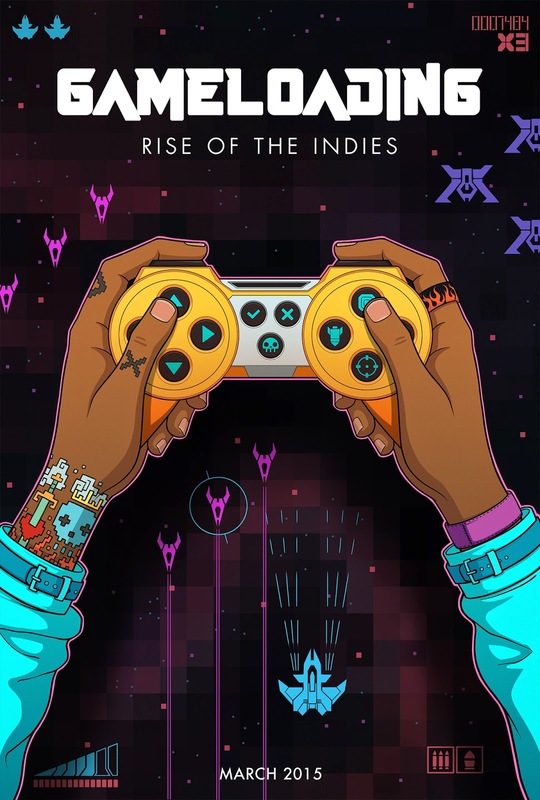 Gameloading is a new documentary about the history and rise of the indie gaming movement. Don't confuse this with Indie Game: The Movie. Gameloading focuses less on the personal development struggles of few designers, instead pulling back to encompass the scene as a whole. It's been hinted about and mentioned here and there for a while, but now it's Kickstarter campaign is wrapping up and they still need your support. As of this moment, the project has reached a little over half of it's $50,000 AUD goal. I really recommend that you support this project. The indie game movement has greatly influenced the games I play and the games I look for. This film is the first to really look at the movement on a broader scale. A lot of people have contributed their time and input to this project. Dozens of indie creators have been interviewed for the film including Rami Ismail, Davey Wreden, Christine Love and Mike Bithell. The list goes on and on. This is a film that aims to shed light on the process behind creating indie games, as well as capture the atmosphere and emotions surrounding events like PAX. Indie games are often more personal stories than their AAA cousins. These are games that often tackle stickier subjects like depression and fear. These are things that nearly everyone deals with in their lives at some point, and the potential impact of games like That Dragon Cancer or Depression Quest among the average player is huge. GameLoading is an ambitious project and was already kickstarted once before. Now neck deep in post production, the team has launched this kickstarter as a final push to keep the project on time and give others a chance to contribute. Indie games are something very near and dear to me. Some of the best games I've played in recent years have been indie titles. These are games that have pushed the medium forward in many ways. I'm not one to wax philosophical about the games I play. My criteria for a good game is one that challenges and entertains. Recently, I've bbeen lucky to find a few AAA titles that have really captured my interest. By and large however, the gmaes I choose to play are more often indie titles. I think indie games are important. By extension, I feel that Game Loading is important. Please consider contributing to this project. It's informative, entertaining and inspiring. Check out the Kickstarter page and help get this film finished.